Mexican Salad with Lime Agave Dressing - A recipe from Savor California, the online showcase for extraordinary gourmet foods and beverages from California. 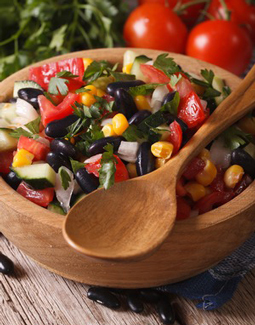 Whisk together the dressing ingredients and fold into the salad. Also delicious on a green salad and as a marinade for chicken or fish.